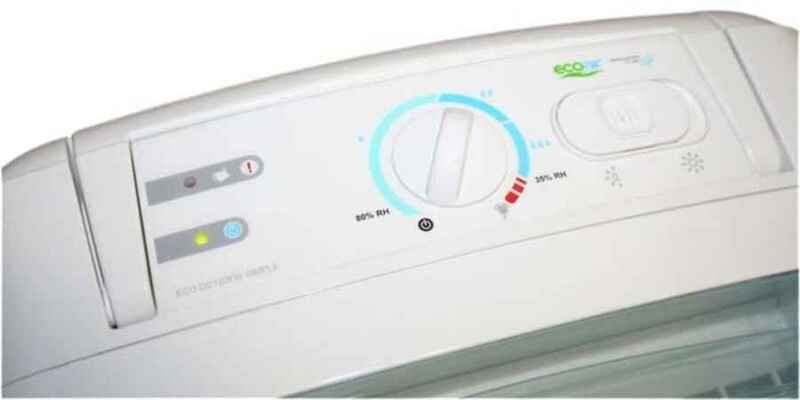 The EcoAir ECO DD122 Simple Dehumidifier certainly comes with a lot of great features and positive reviews. It forms part of the every popular DD122 range by EcoAir and is the more basic version of the DD122fw Classic. It is rated as one of the top dehumidifiers in the UK, and for good reason, EcoAir put some great features into their dehumidifiers. Read on to find out everything you need to know about the DD122 Classic. Let’s face it, if your home is suffering with excess damp or humidity and decent dehumidifier is a must. Most aren’t that attractive, but we think the EcoAir DD122 bucks this trend and, for a dehumidifier, it’s quite a stylish unit. Looking at the top of the device you can find both the control panel to configure the dehumidifier and the carry handle. The handle can be hidden when not in use which is very convenient and, because it is a proper handle, (opposed to indents or openings in the side of the device) it makes moving it around much easier and will meanng it a lot less likely to be dropped. The fact that it also only weighs 6kg also means it is very lightweight making it ideal if, for example, you need to move it around your home to spot treat areas of excessive damp or if you need it to dry your washing etc. The base of the unit contains the collection tank which holds a pretty respectable 2 litres and the device will automatically shut itself off when the tank is full. 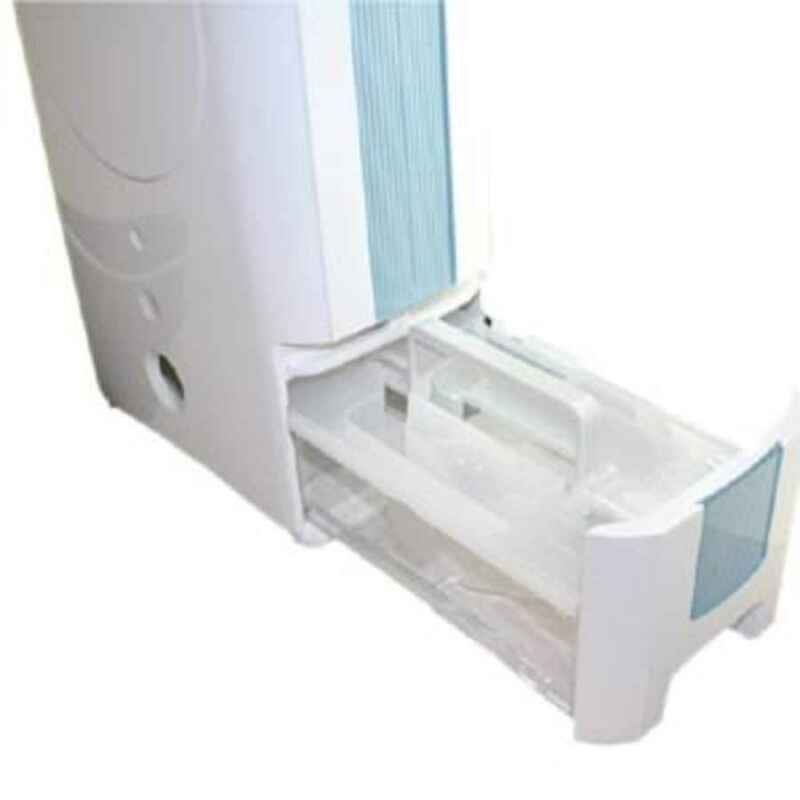 The tank can be easily slid-out from from the side of the unit and also has a top mounted handle which is hidden until needed, this makes for easy carrying and emptying. The more you look at this machine the more you see some considered features that set it apart from the competition. One in particular we noticed was the anti-drip mechanism that stops water leaking from the machine when the collection tank has been removed, a problem some other brands of dehumidifier can sometimes suffer from such as those made by Ebac – unless you wait a good X minutes for the dehumidifier condenser coils to drain. Although, if you do not want to remember to empty the tank (and you can place the unit by a sink or drain) you can use the hose attachment for continuous drainage. Effectively allowing the machine to run virtually independently. Finally we come to the anti-tilt mechanism inside the machine which ensures that if the device is ever tipped over or knocked it will switch itself off automatically to safeguard you and the machine – a feature with obvious benefits. Configuring The DD122 Simple – How to Use It! The rotary dial at the top of the device has a lot of features compacted into just one dial. Whilst this may seem odd we think this is actually an advantage and allows for easy operation. With a simple twist you can configure the device to operate in virtually any condition. Starting from the off position which is the further most anti-clockwise position you can move through a variety of settings from the the highest humidity range of around 80% to 60% relative humidity (indicated by a single water drop), to medium humidity of around 50% (indicated by two water drops), to low relative humidity which is around 35% (indicated by 3 drops). In fact, you can see from the photo shown to the right EcoAir used to indicate the RH on the control panel. But a recent update uses water droplets instead of percentage levels. Finally you can move the dial around to it’s highest setting (IE most powerful humidity extraction) which is the ‘laundry dry/boost’ mode. Whilst in this setting the machine will run continuously no matter what humidity level is reached. We wouldn’t recommend using this setting for extended periods because it means running the machine on ‘maximum’ which may cause it to essentially ‘wear’ out sooner, but also because it will cost a lot more to run in this mode. Use it to help with an excessive humidity problems and then switch it back to a lower setting. 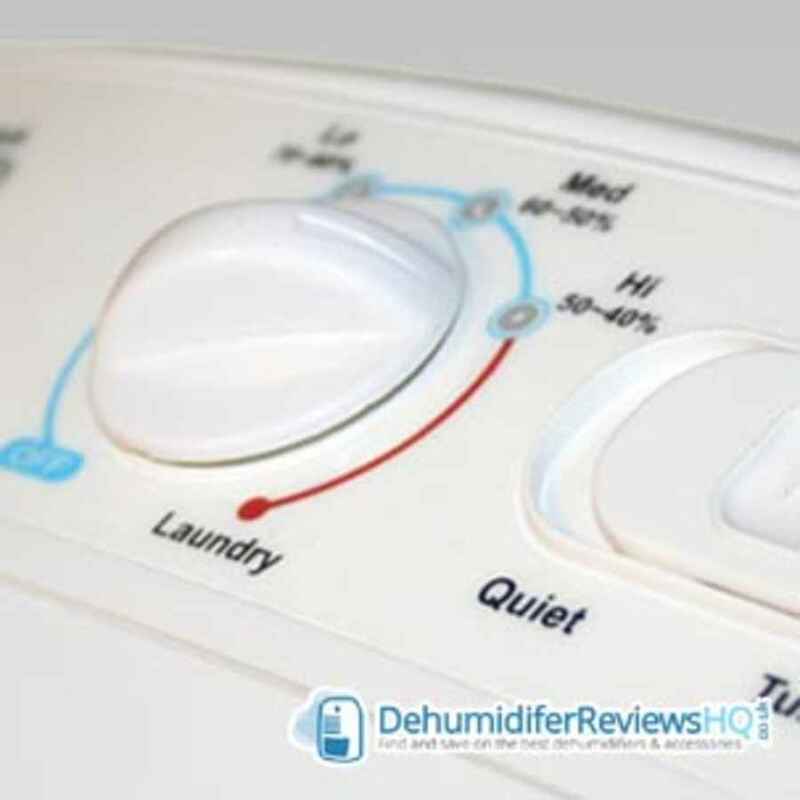 With the exception of the laundry setting the machine will automatically turn itself off when the required humidity level is reached, helping save money. To the right of the rotary dial is a slide switch which controls the speed of the fan, this also impacts on how quiet the unit is too. When in the left position the fan is in economy mode. This is ideal for normal day to day use, makes the machine much quieter and also means it will cost less to run too! When flipped in the right position the device is essentially in ‘turbo’ mode, which is a bit noisier and less energy efficient to run. The two settings are quite handy and will allow you to deal with excessive damp or humidity problems quickly and then return to a normal setting when needed. To the left of the dial are two indicator lights. 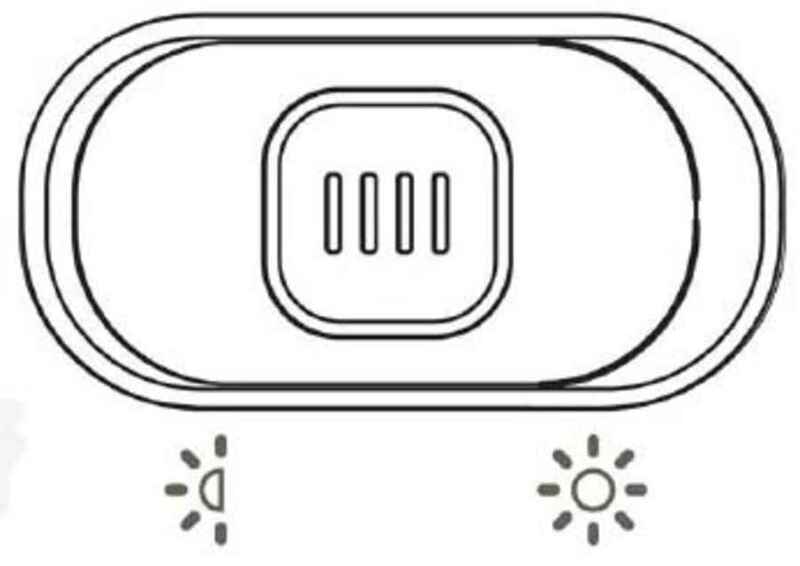 The top light indicates when the tank is full or hasn’t been inserted correctly and the light beneath is a basic on/off indicator light. Whilst a few people may wish to ‘fine-tune’ the exact amount of humidity even more these controls will suit virtually every user because of their ease of use and simplicity to set up and get the dehumidifier working. This is where this type of dehumidifier really comes into play with some impressive points that set it apart from refrigerant models. First lets start with the noise, it comes in at an almost whisper quiet (well, almost!) 34dBa which is far quieter than most refrigerant models available. This is due to the technology desiccant models use to remove excess water from the air, which is basically a fan to draw in the humid air over a hygroscopic material which absorbs the moisture. This is vastly different when you compare this to another type of humidifier – refrigerant/compressor units. These utilize a compressor system to cool a series of pipes/heatsink it is apparent why desiccant models are much quieter and also much lighter – it is the compressor unit which introduces the weight and noise. Next lets look at where you can use it and the temperatures it can operate in. Without sounding like too much of evangelist for desiccant dehumidifiers they do come out of top here too; and can operate quite comfortably in temperatures down to 1, right up to 35 degrees Celsius. This means you can use the EcoAir in places where the temperature could drop overnight, for example in your garage or possibly in an outbuilding near the home without the freezing problem refrigerant models experience in lower temperatures which cause them to loose efficiency or stop working all together. Over the course of a day this unit can collect up to 7 litres of water at 20C with relative humidity of 60%. This specification is also an accurate measurement within UK climate boundaries. For example, the average temperature within a UK home should be around 20C and the ideal relative humidity within a UK home is 50% – 55%. 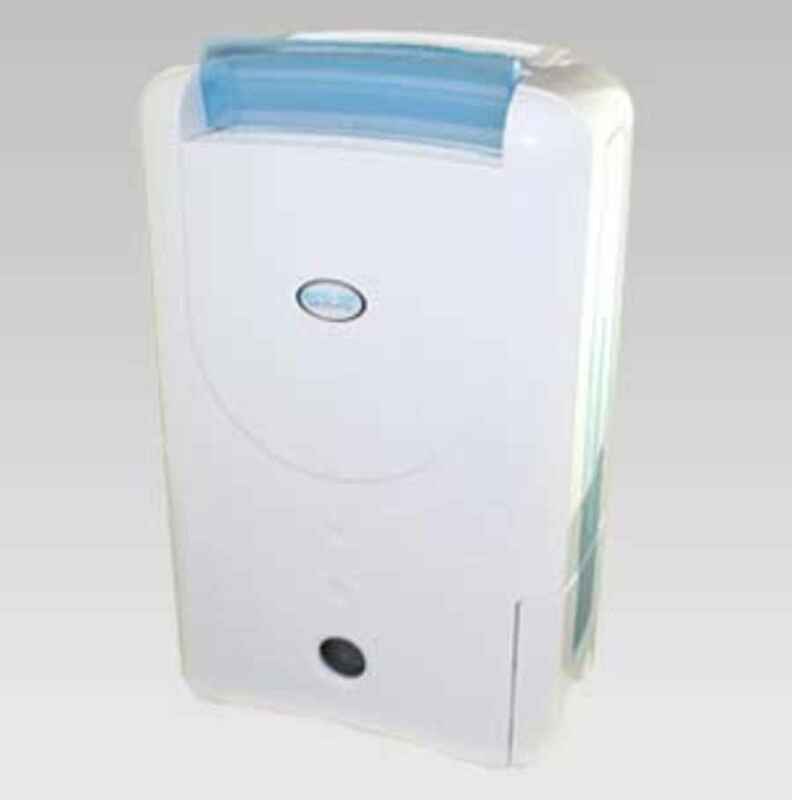 And, when you consider that over the course of a typical winter day (the time of year most dehumidifiers are typically required) two people will produce around 1.2 litres of excess moisture, which cannot be absorbed by the home, this dehumidifier is ideally suited to pick up that excess moisture plus it would also have just under 6 litres in spare capacity which it can collect which means it would certainly help prevent any damp/mould problems. Finally we reach economic performance, or how much it will cost to run! The nature of the technology used means desiccant dehumidifiers are more costly to run than their refrigerant counter parts so it is worth bearing this in mind before purchasing (but, it is still only pence per hour). Although, many people have reported that only a few hours use per day does not produce any significant increase in their bills, so it would only be a real consideration if you need it running for extended periods every day. 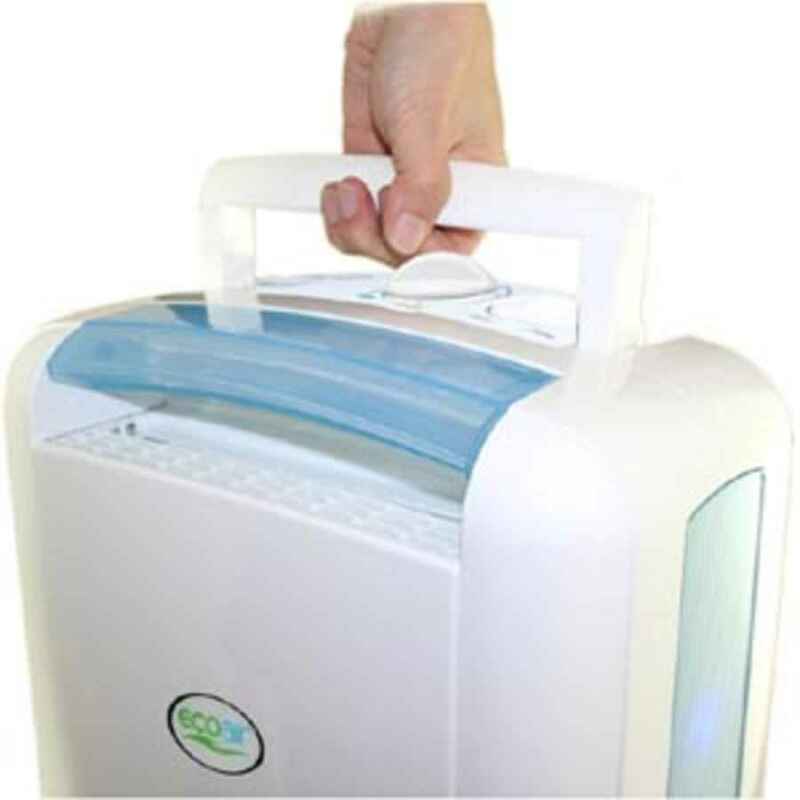 The filter is worth mentioning because comes complete with an anti-bacterial and anti-fungal filter as standard, which is very nice inclusion as some dehumidifiers only come with a basic dust filter. The removal of not only dust, but also bacteria and fungal spores, will help with the odors associated with excess humidity and also help improve the quality of the air. The filter has also been designed in such a way that it traps and destroys the bacteria/spores by breaking them apart and absorbing the cells elements. This is particularly beneficial for those people who suffer from breathing conditions such as asthma which can be aggravated by excess debris in the air. 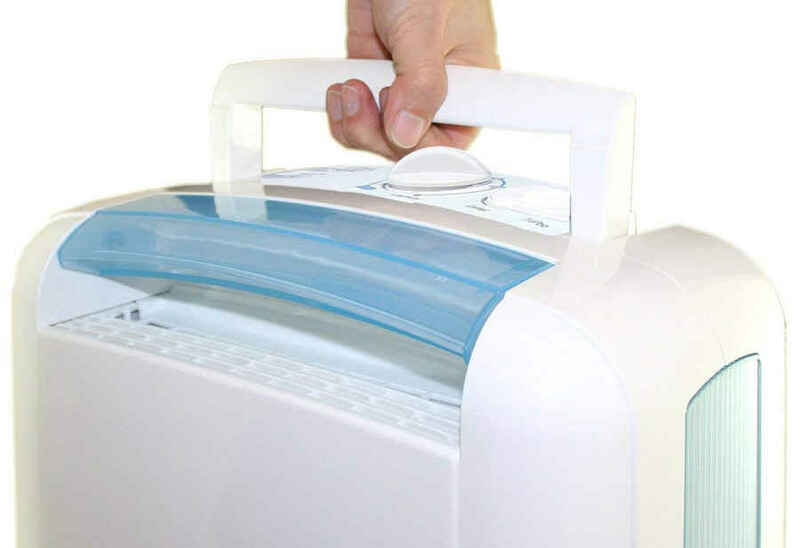 The filter is also easy to clean by simply vacuuming or by giving it a gentle brush. This device is really simple to use and has some impressive features. It’s quiet, yet powerful operation, and it’s two year warranty makes the EcoAir ECO DD122 Simple a dehumidifier that is definitely worth checking out if you’re looking for a solid device that can be easily moved around the home and can get the job done without being too complicated.